Fostering creativity is an important part of raising a child. Whether it’s encouraging them to draw, create their own songs, or tell their own stories, inspiring a child to be creative works wonders for their development and growth. 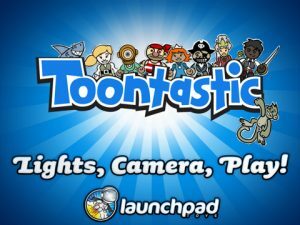 Since it’s launch last year, the iPad has proven itself to be an invaluable tool in children’s entertainment and education, and Toontastic from Launch Pad Toys is the latest app that takes colorful images, easy-to-use interfaces, and basic concepts to encourage the development and creativity of children. 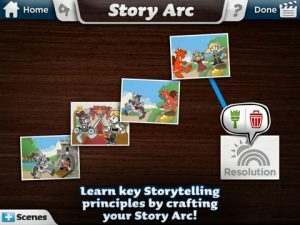 From drawing to story-telling to learning how music affects a scene, Toontastic is a must-have app for any parent looking to spark their child’s imagination. 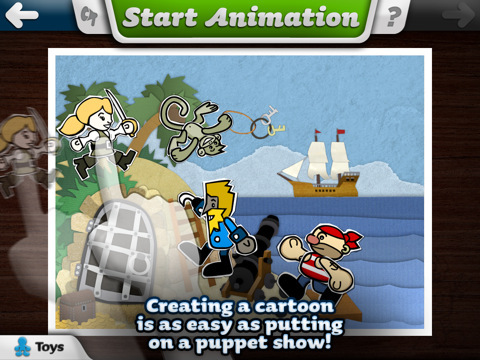 Toontastic allows users to create a short cartoon, either using existing backgrounds and artwork, or by creating their very own artwork. The basic structure is fairly limited, with only five scenes per story arc. However, this limitation makes the creation process less daunting for kids and helps them learn the basic structure for storytelling. The flow for each scene is essentially this: pick your background, insert your characters and props, animate the characters and provide dialog, and choose the background music. A helpful in-app narrator gives tips and guides the user along, but most kids will pick up the flow rather quickly. 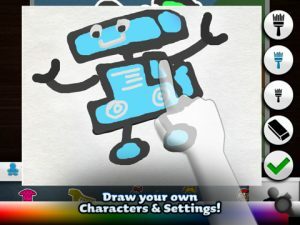 While Toontastic does have a small selection of existing artwork and backgrounds from which to choose, there’s also a handy editing tool, which allows users to create their own artwork. Again, simplicity is the key here, so those expecting a robust animation program with multiple layers and tools will be disappointed. Again, this is a very basic cartoon creator for children, and Toontastic excels in that category. Rather than worrying about the technical details, kids can quickly create their character or prop and drop it into the scene. My one criticism is that there isn’t enough preexisting artwork to choose from for younger kids who haven’t quite honed their drawing skills. Once the story is created, the characters animated, and the music chosen, the entire arc is presented in movie form. You can save your toon for later viewing, or share it via the in-app service “ToonTube”. In ToonTube you can submit your cartoon for rating (earning badges in the process), or view cartoons from other users. An email address is required to sign in, but beyond that ToonTube is pretty non-intrusive and a great way for kids to see what’s possible with Toontastic. 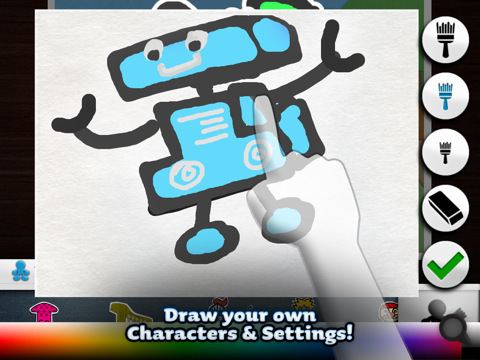 Bottom Line: Toontastic is not only a smartly-designed app, but a wonderful way to stretch your child’s imagination. 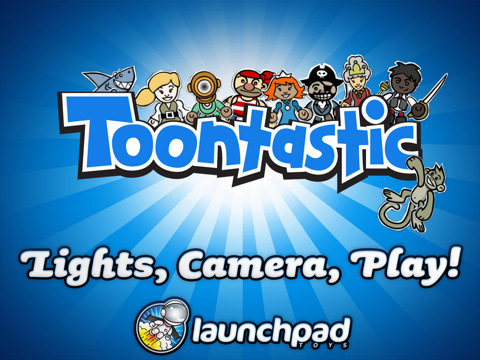 Toontastic is compatible with iPad. Requires iOS 3.2 or later.